Fresh off his two-month paternity leave, Mark Zuckerberg is continuing his habit of posting long musings to Facebook. On Wednesday, he gently explained artificial intelligence research and talked about what might be "the most important problem of this century": getting AI to learn on its own. AI is something Facebook (FB) has been very vocal about investing in over the past few years. Major tech companies including Google (GOOG) and Apple (AAPL) have been competing for AI talent in a rush to build smarter systems. The technology already exists in some facial recognition and voice assistant features. Eventually, it could show up in everything from robots to driverless cars. The topic is something Zuckerberg has been thinking about a lot lately. Every year, the Facebook CEO picks an ambitious New Year's Resolution and shares it publicly. In the past, he's vowed only to eat meat he killed himself, learn Chinese, and read a book a month. The project has helped shift Zuckerberg's public image from the awkward character depicted in The Social Network to a techie lifestyle guru. 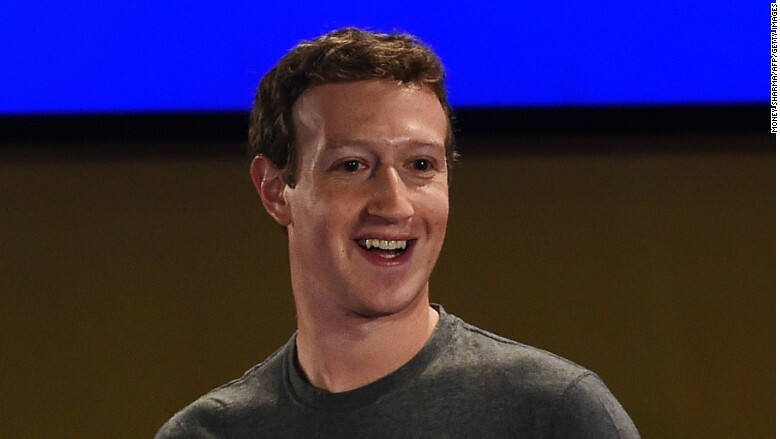 This year, Zuckerberg announced he is building his own personal artificial intelligence system. Meanwhile, Facebook's AI team is working on advancing the entire field. Much of current AI learns by pattern matching. Show an AI system enough pictures of French Bulldogs and it will see patterns like stubby legs, a squished nose and rounded ears. Over time, it can learn how to tell when a photo shows a French Bulldog (or just an overweight bat). Zuckerberg writes that the next big leap in AI is unsupervised learning, in which a computer can learn without help from a person. It's the way humans learn. But unlike some prominent figures, Zuckerberg says self-learning AI is a long way off. That means the AI of science fiction -- like Samantha in Her or Ava in Ex Machina-- isn't coming to your smartphone anytime soon. "Some people claim this is just a matter of getting more computing power -- and that as Moore's Law continues and computing becomes cheaper, we'll naturally have AIs that surpass human intelligence. This is incorrect. We fundamentally do not understand how general learning works," said Zuckerberg in the post. The idea of a self-teaching artificial intelligence isn't everyone's idea of a great technological leap. A number of big names have publicly warned against the dangers of artificial intelligence. In December, Elon Musk, Peter Thiel, Y Combinator's Sam Altman and other tech players said they planned to invest $1 billion into a nonprofit AI research center to find ways to use AI to benefit humanity. Zuckerberg hasn't addressed critics directly, but he did try to ease fears. "We should not be afraid of AI. Instead, we should hope for the amazing amount of good it will do in the world."